You are currently browsing the tag archive for the ‘Gamer’ tag. Writing this review is a real treat for me. I have been following the career of Steven Shaviro for almost a decade now after discovering his online work Doom Patrols one evening while browsing the internet for information about Philip Pullman‘s Galatea. Not only did I discover Shaviro and his own particular brand of pop cultural critical theory, I emerged buzzing with curiousity about My Bloody Valentine, Grant Morrison and a renewed enthusiasm for the films of David Cronenberg. His blog The Pinocchio Theory is also well worth investigating. 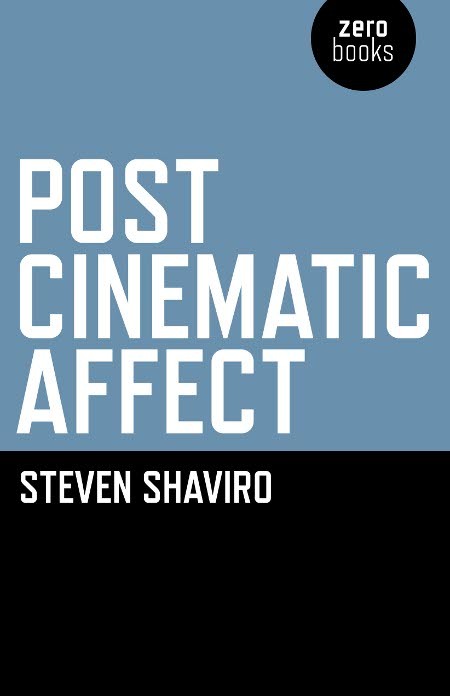 Post Cinematic Affect presents a series of essays on a selection of movies and videos that in Shaviro’s view describe emerging new media forms that are as yet theoretically unrepresented. The book itself is not only concerned with film theory, but the post-Marxist absorption of the public in the entertainment industry. When discussing critical flops such as Richard Kelly‘s ambitious Southland Tales, or Mark Neveldine and Brian Taylor‘s Gamer he is not so much interested in defending their reputations as cinematic works, as he is in demonstrating how they describe our evolving relationship with media. What might be said to be transgressive about these films is the way in which they have abandoned traditional presentation of plot, genre, camera style. They also indulge our culture’s fascination with celebrity. Cinema inherited much of its form from stage productions. Actors played parts, that allow the audience to engage with the story being performed. Yet celebrity has outdistanced any possibility of engagement with the characters being played in contemporary films. Boarding Gate‘s protagonist is played by Asia Argento, an actress who has been violated and murdered onscreen multiple times in films directed by her own father. The controversy cemented her early fame, creating an identity that could overwhelm any flimsy fictional character. Director Olivier Assayas avoids this by having Argento play a woman who is constantly having to reinvent herself. Only through this continual renewal can Argento be subsumed into the story. Grace Jones similarly has a twin existence, as the music performer who must shapeshift with each appearance and as an individual woman who is quite conscious of the importance of maintaining that other self. Shaviro infers into the lyrics of Corporate Cannibal – “I’m a man eating machine“, – a recognition not only of her sexualised alter ego, but her necessary existence as corporate product. Shaviro impressively claims that Kelly is attempting a revolution against the very basis of Eisenstein montage with Southland Tales, where associations between images in and of themselves constitute meaning, without any broader context. The rapidly cut action scenes of contemporary movies demonstrate our ability, as an audience, to be viewers of multiple sources of information simultaneously. Our awareness of the action on screen is played with, such as the entertaining sequence when Justin Timberlake lip-syncs to The Killers. Here the character played by Timberlake, Pilot Abilene, is experiencing a hallucinatory drug trip. Yet our attention is drawn to Kelly having a celebrity singer ‘perform’, music by another act, music which it just so happens is far more evocative of his character’s crisis than the bland material he himself produces. Timberlake also breaks out of sync by drinking and carousing with the other performers, reminding us of the falsity what we are seeing (not to mention the drug-impaired perspective of Abilene). It’s an excellent analysis of the levels of meaning sought by Kelly with this film. In Neveldine and Taylor’s Gamer, he finds a sarcastic parody of subversive cinema. Viewers are deliberately made complicit with the insensate voyeurs of this dystopia. In engaging with the film’s genre staples, we become a reflection of the media depravity here vilified. The film also anticipates developments in MMORPGs, online games that require live interactions between players and game content. Shaviro touches on multiple sources for his post-Marxist critique, including Spinoza, Fredric Jameson and Deleuze. His analysis identifies markers for our evolving relationship with new media, but no definite outcome. This book presents an excellent overview of the changing shape of cinema and our engagement with film.